The flurry of anti-dockless electric scooter headlines reached critical mass last summer. “This town seriously hates electric scooters,” screamed the link to a story focused on Santa Monica, Calif. “San Francisco Is Fighting the Scooter Trend With Poop and Vandalism,” blared another. There’s even an Instagram account devoted to images of destroyed rideshare scooters. And, of course, “bike share” bashing is old news by now. Dockless electric scooters and bike shares – both electric and traditional human-powered machines – are, after all, Internet of Things (IoT) devices. They – and the riders’ smartphones that activate them – continuously generate data from integrated sensors which are transmitted to the systems of the companies that own them. Information regarding the location of each connected bicycle, how long each ride takes, which docks need to be restocked, and which ones are full is always available in real time. New York’s Citi Bike makes its system data publicly available and invites developers, engineers, and statisticians to use it for analysis, development, and visualization. The more open we make these technologies and data, the more we’ll be able to make better decisions related to transportation and municipal infrastructures. The idea is continuously streamed data collected from connected bikes and scooters will become integral components of a fully functional and responsive interconnected grid that can process big data unprecedented in its volume, velocity, and variability. This grid will also serve as the hub for similar mobility data types collected from sensors and hardware embedded within autonomous and traditional vehicles, public transit systems, transportation grids, law enforcement networks, healthcare facilities, weather monitors, and on and on. At its most functional level, this mobility data will produce more focused insights related to fleet management, heavily trafficked corridors, peak commute times, and other transit metrics to enhance the major benefits of the “connected city” – streamlined traffic management and more efficient city design. In the US alone, congestion cost $305 billion last year, an increase of $10 billion from 2016, according to transportation consulting firm INRIX. That’s where the issue of the “last mile” comes into play. It’s really a simple issue: Public transportation doesn’t take us exactly where we need to go, parking is not always available everywhere we go and owning a car or any kind of vehicle is not always possible or even reasonable. And walking is not always the quickest or the most convenient way to move around the city. Those are reasons enough to argue that dockless electric scooters and bike shares will only increase in popularity. Indeed, the initial backlash to these single-user transportation devices is rapidly dissipating. 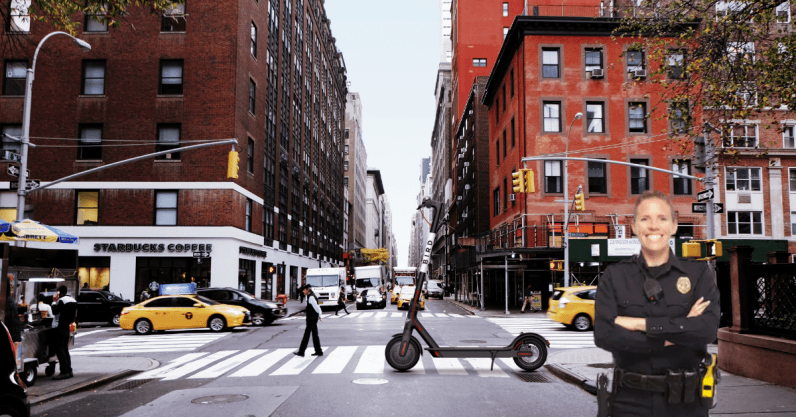 A new nationwide survey, “The Micromobility Revolution: The Introduction and Adoption of Electric Scooters in the United States,” found widespread support for dockless electric scooters. The issue of safety is also something that a fully developed interconnected data grid can address. Salt Lake City, for example, reported a 161 percent increase in emergency room visits involving electric scooters over three months after the two-wheelers were introduced in June 2018. As scooters and bike shares become more widely adopted – as well as autonomous vehicles, which could be regulars on the streets within three years – city streets and traffic thoroughfares will have to be reimagined and redesigned to account for them. Obviously, all of the data racing across that grid will be useless unless it can be processed, accessed and analyzed to optimize user mobility. That’s why it’s so important to continue to develop the most effective and efficient ways to collect, store, access, process, and analyze the data. The emergence and increasingly rapid adoption by enterprises and public sector agencies of unified hybrid architectures for on-premises, multi-cloud and edge environments is timely for this very reason. This new-generation data management system promotes the ability to capture real-time information from scooter and bike shares, correlate it with traffic patterns and weather/climate patterns and then deliver streaming analytics. Not only will this produce precise traffic information on the fly to disperse and even prevent traffic gridlock – it can also provide city planners and government officials with actionable insights as they contemplate traffic redesigns of their municipalities.